Deutsche Asset & Wealth Management rolls out a Japan ETF as Calvert launches large-cap indexes. New ETFs continue to proliferate in '15. New products and changes introduced over the last week include a range of ETFs added by ProShares; a Japan ETF from Deutsche Asset & Wealth Management; added indexes and funds that track them from Calvert; an ETF from Hull Tactical Asset Allocation; and a unit investment trust portfolio from Incapital and KKM Financial. Also, S&P Dow Jones Indices launched environmental and socially responsible indexes; SunGard added market data content to MarketMap; T. Rowe Price launched its market intelligence solution MarketScene; Envestnet|Tamarac implemented an integration with FactSet; and Oppenheimer converted its advisory programs to the VestmarkONE platform. ProShares has added a number of ETFs: two currency-hedged ETFs, the ProShares Hedged FTSE Europe ETF (HGEU) and ProShares Hedged FTSE Japan ETF (HGJP), and six additions to its leveraged/inverse lineup: UltraPro Nasdaq Biotechnology (UBIO), UltraPro Short Nasdaq Biotechnology (ZBIO), Ultra Homebuilders and Supplies (HBU), UltraShort Homebuilders and Supplies (HBZ), Ultra Oil and Gas Exploration and Production (UOP) and UltraShort Oil and Gas Exploration and Production (SOP). HGEU is designed to match the performance of the FTSE Developed Europe 100% Hedged to USD Index, a free-float-adjusted and market-cap-weighted index comprising large- and mid-cap European stocks. The index hedges against fluctuations between the value of the U.S. dollar and the currencies in which the stocks are denominated. Currencies represented include the euro, Swiss franc, British pound, Danish krone, Swedish krona and Norwegian krone. UBIO seeks to provide 3x and ZBIO seeks to provide -3x the daily performance of the Nasdaq Biotechnology Index, before fees and expenses. The Nasdaq Biotechnology Index is a modified capitalization-weighted index that includes Nasdaq-listed companies classified as either biotechnology or pharmaceutical. HBU and HBZ seek to provide 2x and -2x the daily performance of the Dow Jones U.S. Select Home Construction Index, which includes U.S. companies whose business is related to the construction of residential homes, including manufacturers of mobile and prefabricated homes, as well as producers, sellers and suppliers of building materials, furnishings and fixtures. 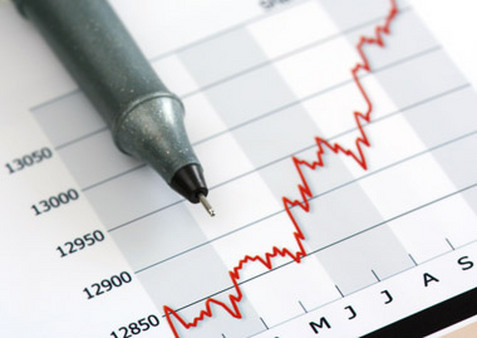 Each seeks to provide a multiple of the daily performance of the index, before fees and expenses. UOP and SOP seek to provide 2x and -2x the daily performance of the S&P Oil and Gas Exploration and Production Select Industry Index, which is equally weighted and includes domestic companies from the oil and gas exploration and production subindustry. Each seeks to provide a multiple of the daily performance of the index, before fees and expenses. Deutsche Asset & Wealth Management has announced the launch of the Deutsche X-trackers Japan JPX-Nikkei 400 Equity ETF (JPN), which tracks the JPX-Nikkei 400 Index. The JPX-Nikkei 400 Index screens for capital-efficient Japanese companies based on return on equity, cumulative operating profit and market capitalization. Calvert Investments, Inc. has announced the launch of a suite of responsible indexes and related lower-cost index funds that will track them. The firm has created the Calvert U.S. Large Cap Growth Responsible Index, Calvert U.S. Large Cap Core Responsible Index and Calvert U.S. Large Cap Value Responsible Index and renamed the existing Calvert Social Index Fund the Calvert U.S. Large Cap Core Responsible Index Fund (CSXAX). In addition, it has launched two index funds, the Calvert U.S. Large Cap Growth Responsible Index Fund (CGJAX) and the Calvert U.S. Large Cap Value Responsible Index Fund (CFJAX), each based on one of the new indexes. Hull Tactical Asset Allocation LLC has announced the launch of the Hull Tactical US ETF (HTUS), an actively managed ETF designed by Blair Hull. HTUS has an investment objective of long-term capital appreciation. It takes long and short positions in ETFs that seek to track the performance of the S&P 500, as well as leveraged ETFs or inverse ETFs that seek to deliver multiples, or the inverse, of the performance of the S&P 500. Incapital LLC and KKM Financial have announced the launch of a 15-month unit investment trust portfolio based on a proprietary algorithm, the Heat Seeker, developed by Jon and Pete Najarian. The Incapital Najarian Heat Seeker Portfolio aims to provide capital appreciation through common stocks; the methodology seeks to identify long-term unusual trading activity that may illuminate the footprints of long-term equity positions taken by large institutional investors. S&P Dow Jones Indices has announced the launch of the S&P 500 Environmental & Socially Responsible Index and the S&P International Environmental & Socially Responsible Index. They have been licensed to Goldman Sachs Asset Management, who worked with S&P DJI to develop the indexes’ sustainability criteria. They are designed to offer investors enhanced exposure to securities meeting sustainability investing criteria while maintaining a risk and performance profile similar to their respective underlying indexes: the S&P 500 and the S&P Developed BMI Ex-U.S. & Korea LargeMidcap. The S&P 500 Environmental & Socially Responsible Index is designed to measure the performance of securities from the S&P 500 that meet environmental and social sustainability criteria. The S&P International Environmental & Socially Responsible Index is designed to measure the performance of securities from developed markets outside of the United States and Korea that meet environmental and social sustainability criteria. Sungard has announced that it has added market data to its MarketMap solution. The data, from social sentiment, reputational risk, short interest and company research providers, is provided to help wealth managers, advisors and traders find new investment opportunities, respond rapidly to client needs and differentiate their offerings. In aggregate, the data are available as follows: Social sentiment from Heckyl, which tracks and provides users with alerts on mood changes in the market toward a company’s value before any price movement takes place; RepRisk Index (RRI), which captures and quantifies the reputational risk exposure of companies across sectors and countries related to environmental, social and governance (ESG) issues and helps mitigate reputational and financial risks; SunGard’s Astec Analytics Borrower Activity Rating, which identifies the most actively borrowed stocks in the market through an indicator of short interest; and the BATS One Feed, which provides a comprehensive view of reference quotes and trade data from all four BATS U.S. equities exchanges. T. Rowe Price has announced the launch of its market intelligence and asset allocation solution MarketScene. Currently available as a free iPad app, MarketScene is designed to help advisors make more informed, timely and better investment and asset allocation decisions for their clients. It is also in development for access on smartphones. MarketScene, which is available to financial advisors at wirehouse broker-dealers, independent broker-dealers and registered investment advisors, provides access to insights on market consensus views with a balanced perspective on upside and downside scenarios; T. Rowe Price perspectives on key global economic and market themes; and recent stock and bond positioning in the firms’ suite of asset allocation portfolios. Envestnet|Tamarac has implemented an integration with FactSet, a provider of financial information and analytics, to provide a more holistic reporting experience for advisors and their clients. The integration enables mutual advisor clients to directly access aggregated and reconciled account data from Envestnet|Tamarac within FactSet to generate portfolio analytics reports on the latter’s platform. Tamarac has embedded a data feed into its Advisor Xi technology suite, which automatically uploads data to FactSet on a daily basis. Oppenheimer & Co. Inc. has converted all of its advisory platforms, as well as those offered through its affiliate Oppenheimer Asset Management Inc. to wealth management technology platform InvestmarkONE. Vestmark, a SaaS technology provider of portfolio management and trading solutions, will consolidate Oppenheimer’s entire advisory business, accounting and trading platforms onto VestmarkONE. Oppenheimer will be utilizing Vestmark’s proposal generation module to generate investment proposals spanning Oppenheimer’s fee-based advisory offerings. Read the June 21 Portfolio Products Roundup on ThinkAdvisor.